Use effective school communications to improve student outcomes. We are each formed within the framework of our families. It is here we receive our initial education. Schools and teachers continue the process and expand our knowledge and education. But lucky is the child whose family supports and engages with their schools. Student success and achievement increases. Students graduate prepared to be productive, contributing, and successful citizens. Students with involved parents, regardless of their background or income, are more likely to attend school regularly, earn higher grades, have better social skills, enjoy a more positive attitude toward school, and show improved behavior. School culture improves, and everyone wins—especially students—when home-school-community collaboration takes place. So, what are the barriers to promoting family engagement? What challenges and obstacles do you need to remove? If yes, have you ever shared your ideas or advice on any of these issues? Yes / No / I’ve not been asked. Avoid overwhelming parents with an unmanageable volume of communications. We are all inundated with massive amounts of information each day. So, be selective and wise with your communications. Be brief. Be specific. Be interesting. Be consistent. Avoid complicated reports. Deliver your information in digestible bites. If you want to share something complex, tell a story that explains it and keeps it interesting. You want your audience to relate to your information. Use a variety of resources. Not everyone has access to the same tools. They also have different preferences. By using a variety of communication channels, you will avoid excluding anyone. By far, the most effective way to engage parents is that personal touch from the teacher. This is one reason that parent-teacher conferences can be so valuable. So, putting extra effort into such events as back-to-school night and parent-teacher conferences is vital. However, personal contact can be challenging in a large school when a teacher has 150 students during the day. Many teachers are using notification systems to engage parents and students. Some of the common programs (some are even free) include Remind, Class Dojo, SeeSaw, and many others. Another way to produce a good outcome is by texting a quick message or reminder. A simple “Reminder: John needs to study for the test” or “Oops, attendance has slipped. Everything okay?” can be very impactful. Texting also has the advantage of reaching most parents; even low-income families often have phones capable of receiving texts. There is evidence that specific, rather than general, teacher-to-parent communication is much more impactful and valued by parents. It is also important that this communication takes place for both positive and negative aspects of student behavior. If a parent only hears from a child’s teacher when something bad happens, a trusting relationship isn’t likely to develop. Provide information on how to become a volunteer at your school. Include what those needs are and how students benefit from parent participation. Be sure to include some quotes, testimonials, or a school video sharing other parents’ positive experiences. Highlight a parent volunteer each month on your school’s website. Schedule a series of workshops that parents can attend. Topics can be selected based on your school and parent needs, but popular areas are parenting and discipline, helping students develop good study habits, building self-confidence through success, nutrition guidelines, improving parent/child communication, character development, teaching responsibility, etc. Consider partnering with local businesses and experts to sponsor or assist in developing the classes. Provide a survey to let parents see where they score in their current level of engagement in their child’s education. It can encourage them to raise the bar and set personal standards. Check out the great example at Project Appleseed. Provide information about all events parents are invited to attend. These might include meet and greet tables at school concerts, open houses or back-to-school night, parent-teacher conferences, school board meetings, or PTA/PTO meetings. Describe how parents can schedule a meeting with their child’s teachers, and explain the process in detail. When they understand how it works, they will feel more welcome and be more likely to reach out, ask questions, and get involved. Make sure you have mobile friendly, ADA compliant websites that ensure easy access. Post school photos. Parents love them. Encourage parent comments with your post by asking fun or engaging questions they can answer. Add “events” on Facebook for upcoming events and activities. This will take your post beyond just a reminder. Post tips. Include anything from study tips to movie recommendations or best books the whole family might enjoy. Ask parents and students for their feedback. Share favorite recipes. Get students involved. What is a favorite healthy breakfast? Most remembered school lunch ever? Create a video. Ask the students to help (or let them create it). Want parent engagement? Then make the topic one they can’t resist, like having students answer, “What makes my Mom awesome” on Mother’s Day or “Why my Dad should be president” for Father’s Day. Try having students or even parents share stories about their favorite teacher and then asking others to share their comments as well. Many schools use parent notification systems to contact parents via e-mail or text or phone for reminders, attendance notifications, or events. For a majority of parents, this is a welcome technical change. The other benefit is that it encourages parents to stay engaged with their child’s education on a regular basis and add their support and encouragement to their child’s progress every step of the way. Many platforms that make these notifications easy to manage are available. One very successful avenue for parent engagement is to use the local media to make your case for you. 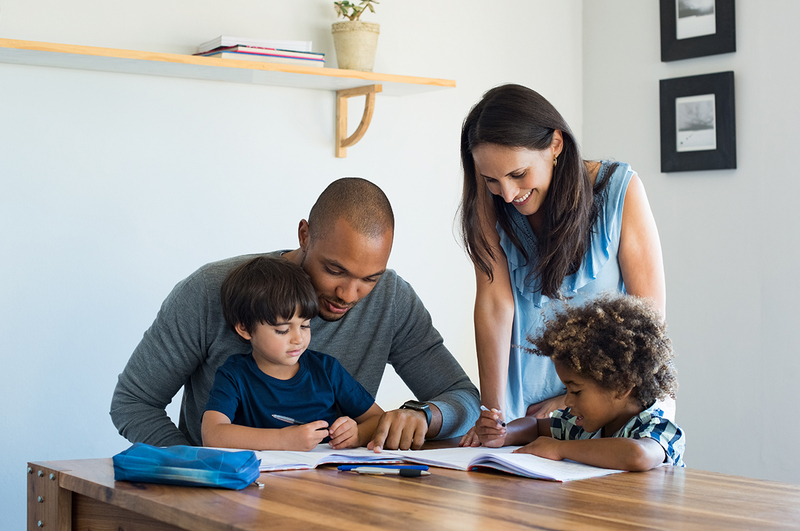 That means providing your local radio, newspaper, and TV stations with articles and resources that will help parents recognize the importance of their involvement in their child’s education. You can write articles, citing data-driven studies. Be sure to include stories that validate those studies. You are sure to generate interest from your local media. If you have some good local stories, create a video and interview a few of your engaged parents, letting them share how their engagement helped their child succeed. Invite the newspapers and TV stations to attend the volunteer recognition event where you honor those parent volunteers. If you offer workshops for parents on study skills or parenting, be sure to invite your local media to attend, or provide them with quotes from parents (or a video clip from attendees). Once you’ve identified the most important aspect of engagement for your school and tried a few new strategies, you have to be patient. It takes time to change attitudes and habits. You may tweak and refine what you are doing, but don’t give up. Then, send out your survey again the following year, and see what has changed. What improved? What is worse off? Then, do it all again. What are some best practices to help you on your way? Create a welcoming school climate. Do you give a welcome packet that includes information about your community and available services to parents visiting your school? Is your office and reception staff trained in customer service? Is the entry experience at your school welcoming and friendly? Partner with local agencies and provide workshops on parenting, study habits/learning skills, nutrition, and other areas of interest. Provide materials for parents on how to improve their children’s study skills. Ask teachers to make regular homework assignments that require students to discuss with their families what they are learning in class. Create roles to include parents on advisory committees. Help those parents become spokespeople for the rollout of new policies or changes. Create volunteer recognition events or activities, certificates, and thank you cards. Be sure you share your thanks to your volunteers through your website and social media. Consider establishing a network that links every family with a designated parent representative. Establish school-business partnerships that will provide students with mentoring, onsite internships, and experiential learning experiences. Develop a survey with parents to identify volunteer interests, talents, and availabilities that matches these resources to your school programs and staff-support needs. So, go forth and engage! Your students will be the winners.